Can’t imagine the time spent ironing out this interface and ease. Hands down best multi-track recorded available. I recorded an entire song in an hour on this thing. Love it, love it. Great app. Works just like it’s supposed to. So simple to use. I like using it just BECAUSE it’s a great app and fun to use, even apart from any recording needs! Emails very easy. All VERY intuitive. This app is amazing! The features on it are amazing and simple to use. Vary practice way to put ideas together and to share collaborate! Amazing job harmonic dog! No updates? Seriously? This used to be my favorite DAW. 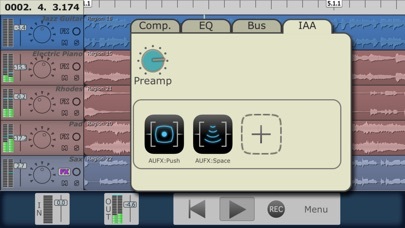 This is a basic audio only DAW that also supports IAA instruments and effects. It has good sound and is very stable. There is no track automation but one can trim and fade in and out clips. You can import audio or record straight in. There are a few on board essential effects and EQ which work nicely. This DAW will work best with tracking performance takes for a song, but not for moving around sections or clips for composition since there is no area select. You have to click every clip individually to select and if you miss one they all get unselected. Moving small clips requires zooming in to grab them otherwise the trim and fade controls get in the way. I was doing a sound design project with this app, but it got too tedious trying to move sections of clips and small individual clips, so I moved the project to another DAW. With area select this all would have been much easier. This is a standard way of working in similar types of applications, so not having it seriously limits usability. Also I am not favorable to dragging from the pop up box to select my tool. One tap to open a window and another to select is a standard that works more easily. It's not a big issue but it would save on finger duress. Can't say enough good things about this app. My go-to daw for getting ideas down quickly. The interface doesn't get in the way and allows me to keep the creative juices flowing. I can now take my iPad to projects instead of my laptop and easily export them later. Recent updates (2017) make it even more useful and powerful. All thumbs up. When I first started using MultitrackDAW I wasn't exactly sure how it all worked, though much was obvious and intuitive. To my surprise the manual was a quick and easy read and made me an instant expert. Other DAWs boast about their advanced features but this one is intuitive to work with once you learn the basic command to tap and hold, which brings up a menu--then just slide to the option you want. The sound quality is impeccable. I spent a lot of money on a couple of other DAW apps but I have exclusively used this one--it's so easy. The Audiobus and IAA implementations are advanced. 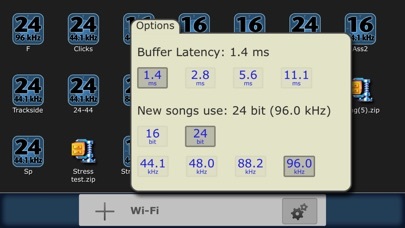 It has automatically supported every audio interface I have plugged into my iPhone and iPad, and I've tried several. The only thing I wish it had was MIDI sync with other apps and devices. I've been able to make do by putting count-in notes on the tracks, so I've been able to line-up every track accurately, especially thanks to the snap feature. The snap feature is powerful. By setting Multitrack DAW to the same tempo as the audio, clips can be sized precisely--perfect for creating loops to use in other apps. I've tried most of 'em and none compare to the ease and simplicity of Multitrack DAW. The GUI is great and the workflow is seamless... you'll be tracking in seconds with this app. Hope they'll consider integrating drum loops into the app in the future since doing so would add one more level of simplicity to an already near perfect program. Nice works guys. No reverb, no delay, eq parameters won't adjust, vague menu descriptions. Quick 4 track recording with only level adjustments is fine, the rest is fluff. I gotta stop buying these buying these apps, seems like they never live up to their claims, but what should I expect? This is a phone. I've been using this app for years, and have yet to have a problem. The interface and graphics are clean, no frills, and very simple to understand. Recording songs is dead easy, as well as adding effects and processing. Inter-app audio also works beautifully, allowing simple integration of my various synthesizer and emulator apps. 24 tracks (with the upgrade) is definitely worth the price. Can't think of much more I would want or expect, other than maybe a few more options for effects/processing. Anyway, thanks Harmonicdog for the best mobile DAW available! I like everything about the app, just one thing, it would of be great if you add some voice effects like autotune, that effect that make you sound like you are talking on the phone, thanks. I did not know exactly what to expect for the reasonably priced $10 app. Reading the review. Brought promise and it seemed that almost all who purchased this app seemed very pleased with the purchased. So I took the dive. After diving in to the app and slowly learning more how it functions I am more than impressed with its capability, functions, recording quality, ability to export all the files separately or as a whole mix. The capabilities of the app itself blew me away completely. It functions and responses cleanly and I have enjoy working with it and uncovering all it's possibilities. I would absolutely recommend this app for anyone looking for a good quality multi-tracker for this smart phone. The only reason why I did not give this five stars is because I, and I could be wrong, I haven't seen attention from the creator on the app itself. It would be awesome to see their response to reviews and update and keep the app a strong a power tool that it is. I have high respect and appreciate for the development of a truly great tool for musicians and enthusiasts in the smart and hope to see this app continue improving its capabilities. Even a .99¢ or if possible .25/.50¢ upgrade would be ok with me. Overall, great work Harmonicdog, love the app! I'd say this is even better than some desktop DAWs. I've exclusively been writing, arranging and producing songs with this app. Very well done ! I have been using this App for a few years now. The user interface is very user friendly. 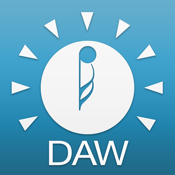 With this DAW it is easy to record, edit tracks, add effects, mix and export your file. You can import sound files and loops and use with your tracks. The sound quality is great. Also, it is a very stable App. Highly recommended. Love this app. I am using it with an IK Multimedia iRig Duo Pro. It is super easy, intuitive, and everything I need for recording on an iPhone 5. It uses space and memory smartly, without gobbling either, and has been the first app of its kind that I have found to be neither glitchy nor crashy. I am sure that there are fancier apps out there, but if I wanted something that was fancy and cumbersome, I would use my laptop, not my phone. I am a musician, not an engineering geek! And the files can be exported and geeked out on later, anyway. This is wonderful for field recording, songwriting, and on-the-go creation. My only gripe is that some parts of the app described in the help menu do not seem to work as they say they do - this is a little frustrating. And I wish there were a way to effectively merge a choppy track (I do a lot of punches) into a whole track easily. But these do not hold me back. Some of my favorite features are the wifi sharing option (type in the given IP address on your computer and there are all the files - organized! Awesome!) and the ease of recording over errors (I haven't got the hang of the "punch in" command, but just arm the track, play the song until the place I want to splice a fix, and hit the record button at the place I want to redo - it's easy). This has not gone as smoothly in other fancier apps, but works well here. Very much appreciate this extremely useful musical tool. Mahalo! I think I've finally found the app I've been looking for to help me focus on basic recording skills of my original guitar music. After being somewhat sidetracked for a while by fancy electronic music-based apps with more bells and whistles than I'd ever use, I like that this app takes me back to basic multitrack recording while being extremely intuitive...it's as easy as GarageBand iOS but more capable. This is my new go-to app! Great app and even better support. This is my go-to recorder. Simple. Flexible. Fast. Every time I try to import a song from the iPod tab (by pressing Browse) the screen zooms in and the app freezes after a song is selected. Under the song tab all I get is a blank screen with no choices. Long time songwriter and composer here... This is the perfect away-from-the-studio recording software to capture song ideas on the fly and multitrack them. Fantastic program!! 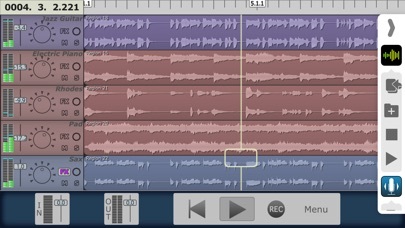 This is so far, one of the best multi tracking recorders I've tried on my IPhone! Let's see what it's future brings and how stable it remains! Hats off to the builder! Suggest you bring in some verbs, delays! This is the DAW your looking for. Barebones, but it has the main things you need. Compression, EQ, Reverb, Delay. Nice work people, nice work. Great update from the best multitrack app on iOS to date. There's nothing else you'd want at the end of your AB chain. I have a few other multi-tracking recording apps so I know my way around, but I keep coming back to this one. It feels like the designers actually created it for fingers on a tablet. While other apps have more features, they're kinda noodley since they cram everything in there (MIDI instruments, etc). The result is an convoluted interface. Multitrack on the other hand, is a pleasure to use. Straightforward, stable, and excellent for multitrack field recording. Export via Wifi to your home system and you're ready to edit in depth. It's been nearly a year since the last update, so I hope it doesn't become abandonware, but so far so good in ios10. Love this app, I have recorded several full length albums using it over the past few years. This is the basic nuts and bolts of multitrack recording. User friendly and extremely smooth and well designed, just plain good. Compressor, reverb eq and delay all work just how you want them to. Only thing I could ask for would be volume automation and a looping tool. Nevertheless, beyond five stars, keep up the good work! But seriously, volume automation! Es impresionante la calidad de esta aplicación por el precio sinceramente, espero algún día pueden darnos la opción de poder comprar paquetes de 'Plug ins' para esta aplicación. 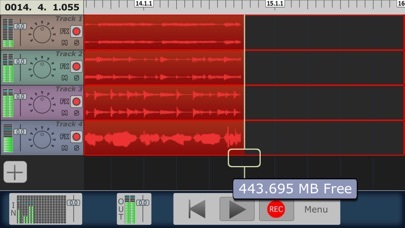 this has been my go-to portable recording app for quite some time. wouldnt consider using anything else. ...it kills my Bluetooth whenever I start it. My Bluetooth symbol shows it's still connected but nothing will play via Bluetooth connection until I reboot the phone. 10/10 best mobile DAW. I downloaded this 3/4 years back when the Garageband app would give out for no reason, and I haven't needed to look for anything else since. Useful as hell even without the upgrades, easy stuff, and always runs super smoothly. Very easy to use and great app. Just lacking the ability to import/export files to/from other sources like iCloud, Google Drive, or Dropbox. The maker off the app is very friendly and when i emailed him for help, he was very helpful and real. For 10 bucks its well worth it. Reliable app ! E-mail export option doesn't work! After reading great reviews from this app I decided to spend the 10 bucks and go for it (my other candidate was TwistedWave). What a fiasco. I'm a voice over actor, and while I cannot avail to the capabilities of this app, the fact of the matter is that I cannot even send the recording via e-mail to my clients. I'm not asking for .mp3 compression, I'm not asking for DropBox integration, but a feature that's advertised and doesn't work is absolutely deceiving my expectations as a customer. Every time I try to export via e-mail my iOS mail client crashes. This is beyond frustrating. I WANT MY MONEY BACK! THIS APP IS USELESS IF I CANNOT SEND RECORDINGS VIA MAIL TO MY CLIENTS! I REALLY HOPE YOU TAKE RESPONSIBILITY. Rock solid and simple to use with great (but very) features. If you just want to record stuff and edit it, this is for you. I have been getting to know this app for a couple of days now, and so far I love it! After numerous attempts at trying to cope with the iOS GarageBand (deleting it, re-downloading it, trying again) and not making head or tail out of it, I tried Multitrack DAW, and after just a couple of 1-2 hour exploratory sessions, I have figured it out well enough to do some wacky electronic music, and an acoustic classical guitar duet. The sound quality is great, the built in reverb is excellent, and once I got past a bit of "learning curve," it was quite easy to navigate. My only complaint is that manual/docs/help file doesn't quite match the app. For example, the docs described how to move a region, and there is no such command anywhere in the app. But, so far, I have managed to figure it out without too much trouble. There is also a great web site with forums and lots of additional help. All in all, a great app, well worth the EXTREMELY REASONABLE PRICE. 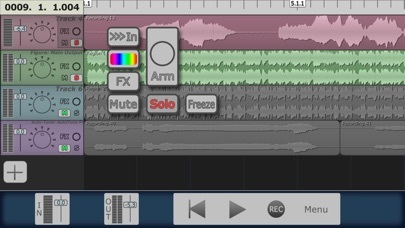 This app has helped me create many amazing songs! Worth every cent & more! If you're a songwriter who wants a good recording resource with the convenience of being just a few clicks away, this app will not disappoint!! Honestly I almost like this app for its simplicity but incredible depth more than most desktop DAWs. Have recorded entire albums and mixed/mastered them on this. Rock solid construction, almost never crashes, great UI, offers 1.4ms buffer latency which is fastest to date! This is a DAW for casual and serious audiophiles alike. Don't bother with garageband, ntrack, fruity loops or multitrack studio. I've tried them all. This is the one. This program is so brilliant. The programmer is a genius and obviously uses it because it's so intuitive and well thought out. I'm still really learning how to use the effects and editing tracks but the basics are very easy to get down. It makes my music practice 10 times more fun because I listen with headphones on as I practice and with the reverb on it makes me sound like I'm in a huge cathedral. It's awesome. I can record professional sounding tracks with this. I only wish the metronome had a visual mode where it showed a light bouncing back and forth, and also that when you add a new track, you could copy the effect settings you have set for the other tracks in the song. Maybe there already is a way to do that. For $10 this is most definite worth it. I get it, it good for recording ideas, but hasn’t grown much over the years, if a DAW is going to be so limited compared to everything else, it should have better export features so you can easily export each track. I don’t mind recording with it but I would rather use another DAW to mix. Multitrack Daw is nice but it’s not really going anywhere development wise.